We've all heard this verse before. Notice that it starts with ‘and’? That means that it is the continuation of a sentence. And you will know the truth. There must be something we say or do that enables us to know the truth. Let’s go back a verse and look at this in context. Where does freedom come from? Knowing truth. Where does truth come from? God’s word. You see where this is going? Reading and believing and acting upon His word – His truth – brings us freedom. Freedom from sin, freedom from fear, freedom from death. The word freedom implies that we are enslaved; there has to be something for us to be set free from. That thing would be sin. We are human. Our bodies are made of flesh, and our hearts are born with a desire for the things of the flesh. God’s standards are totally against the grain of our hearts, which is why He must give us the desire. If you long for what is good and right in His eyes then thank God, because He is the one who put that hunger in you. Nothing else possibly could. But despite the fact that we long for God and long for what is good, we’re still human. Sin is still an inherent part of our nature. We cannot and will not be perfect on this side of eternity. This doesn’t mean that we should just sit back and not even try. The Christian life is a battle, fighting against the hold of sin on our hearts. We must constantly fight against it, or we will succumb. So... how do we fight? John 8:31-32 says it all. 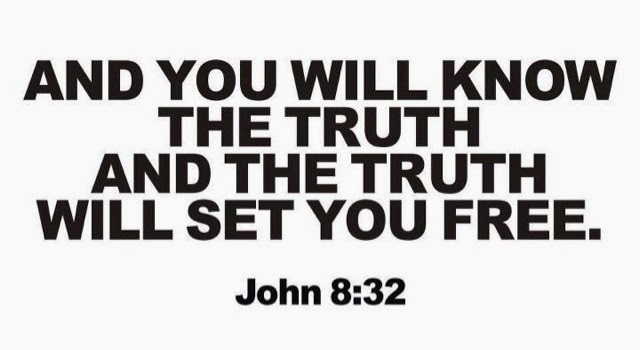 Continue in the word; know the truth and be set free by it. When we constantly immerse ourselves in God’s glorious truth, sin loses its shine because the glory of God shines so much brighter. We will enslave ourselves to sin many more times in days and weeks to come. Failure is a part of life. But by continuing in the Word, we will also continue to be set free by the grace of God. Thank you for sharing that, it's exactly what I needed to hear!